Sometimes even the best of us hit that creative brick wall. It seems like no matter what you do – take a walk, grab a cup of coffee, or hit the gym – you can't get back on track. This is when you need a little dose of inspiration. 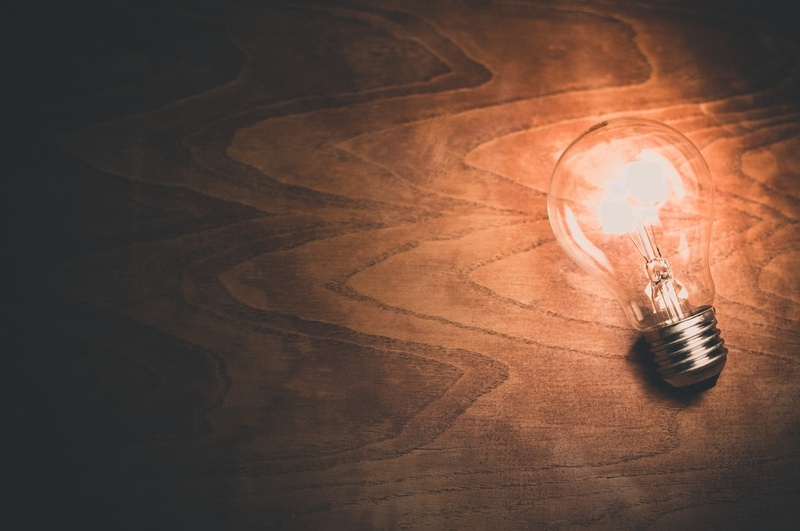 Inspirational quotes can be incredibly motivational for a number of reasons, so we compiled the best marketing quotes to spark your energy. What Drucker is saying is be a leader and create the change you want to see. If you have the right goals in place, you can create a roadmap to success and make aspirations a reality. Failure is the best teacher when pushing the boundaries of marketing or any other creative endeavor. If your fear of falling short stops you from trying new things, you need to rethink how your internal voice influences your actions. Well written content touches the reader emotionally and intellectually. But more importantly, your marketing message finds your audience at the right time and in the right place. Whether that's blog articles, emails, or social media messages, your audience is human and wants to feel understood by you. Experimentation is what drives innovation in the world of marketing. Without those fearless, innovative thinkers, marketing would not have evolved into this new, human and honest world. Hadley's quote is a great reminder of the essence of inbound marketing: put your customer and their needs first, and be helpful. By focusing on their unique challenges and goals, you're able to deliver relevant, helpful content when they need it most. In the digital world, where your ideal customer is empowered with information, relationships make or break your success. This is why the "help first" mentality generates real results for businesses. It all starts with your content marketing strategy. 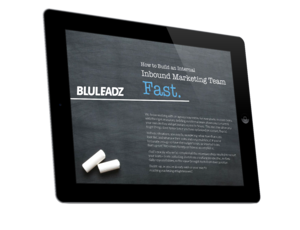 Inbound marketing gives us unprecedented information about who buyers are and what they need. Use it to create targeted content that makes your product or service indispensable. Like Drucker says, by the time your prospect in the Decision stage of the buyer's journey, if your inbound marketing and inbound sales techniques were properly executed, your product or service should already be a must have for your potential buyer. Storytelling finds its way into nearly every aspect of your marketing strategy. From blogging and social media to email campaigns and everything in between, you're creating what could be a compelling story. When you build great stories based around your company and your products and services, you're humanizing your organization. And a modern buyers are attracted to this human element. In digital marketing, the playing field changes in the blink of an eye. New competitors can pop up out of nowhere. The time to act is now. As soon as information becomes available, you should be ready to jump. Otherwise, while you're waiting and probably overthinking your planning phase, your competitors are already delighting customers in your market. Brogan's advice continues to ring true today, even as more businesses and individuals enter the blogging world. In fact, HubSpot’s 2018 State of Inbound Report found that blog content creation is the second highest priority for organizations. Through longer form content and thought leadership pieces, you can introduce yourself and your business and truly showcase your expertise. As you develop your awesome blog, expect to generate more relevant traffic and good fit leads. This takeaway can't be emphasized enough – relevant, helpful content wins big. By understanding where a prospect is in their buying cycle, you can pinpoint precisely when and how to meet their needs. This is a big step forward since the old days of traditional marketing. Now, thanks to big data and technology, you can better understand your audience and, more importantly, find ways to help them from the get go. This quote perfectly summarizes the importance of buyer persona research. Using data from your current and past customers and additional market research, you can build a semi-fictional representation of your niche. This helps you personalize your approach to marketing to truly connect and build relationships. Everyone falls into the trap of feeling overly stressed and pressed for time. Deadlines come up fast, and there are typically dozens of projects in progress at the same time. But when we hit this point, where stress scatters our brains, it's time to take a step back and remember that what we do should be fun. While marketing is serious, the process should be fun and exciting. The more fun you have, you more creative you will be. Ogilvy's main point here is multifaceted. He starts off by critiquing the common mistake marketers make of rolling their eyes at buyers or taking the customer relationship for granted. Remember, your buyer wants an experience that makes them feel valued, understood, respected, and perhaps even loved. So just as you do with your wife, show respect, adoration, and support at every customer interaction. Chernov's quote perfectly emphasized Ogilvy's takeaway listed above. The customer experience always comes first. And you can help your customer feel smart by providing them with educational resources, helping them fully understand their problems, and showing them how your products or services are the best solution for them. Remember, customers go through an emotional journey. With the help of awesome marketing and sales teams, your company can influence customers to feel awesome about buying from you. You need to find a balance to how you approach your marketing efforts. If you're stuck in a scientific mindset, you might not be delivering content that is engaging and human. If you're only thinking like an artist, you're might not be reaching the right people or fail to measure and adjust your strategy. Simply put, great marketing is equal parts art and science. Cultivate a knowledge base of both. Comstock is talking about one of the most vital aspects of your business – your messaging. This is how you position your brand within your market and how you present your products and services to your buyers. In order to truly sell, you need to hone in on your messaging. But don't stay overly focused on just your products or services. Remember, your company, your target audience, and you all have something in common. You are all human. So when you develop your messaging, humanize your brand, tell a compelling story, and emphasize the human element. There's a reason Godin shows up in this list several times, and this quote hits the nail on the head. As one of the best marketing minds out there, he's excellent at challenging the "common knowledge" so many people peddle. In the context of this quote, he's driving an important point home – nothing in marketing is a set-it-and-forget-it process. In terms of social media marketing, building and maintaining a community is a marathon, not a sprint. Your followers will stay only if you're fostering a social environment based on trust, respect, and value. So deliver value, then continue delighting and helping your community every day. Engagement is vital in today's social digital age. You are no longer sending out mailers or cold calling; you're delivering value and delighting customers. Then, your happy customers are telling others. This is why word of mouth is a key aspect of your marketing strategy. The more people you educate and help, the bigger your reach. Most global users turn to search engines when they're researching purchase decisions. This is where your website can make or break your relationship with your target audience. A poorly designed site with bad user experience (UX) and subpar content will push them away. But when your site looks great and your content delivers the information they need at the time they need it most, you're well equipped to earn lots of traffic and leads. Inbound marketing is where context and content come together to build powerful relationships between brands and audiences. Personalized marketing has played an important role the last few years, but tools like smart content are taking the idea of customized marketing to the next level. As personalization becomes more common, your ideal buyers will come to expect it. As Goodman says, you need to combine your research with your content creation. While you're waiting and planning, your competitors are already doing this. The legendary hustler Gary Vee is a leading voice in the social media marketing space. He's been a visionary in the social media space because he understands human nature. And part of human nature is our tendency to share and openly praise things that bring us joy and help us solve problems. Social media content paves the road for this big opportunity to generate and drive word of mouth. No marketing quotes list would be complete without Coco Chanel. She dominated the fashion world, and even after her passing decades ago, her brand name is still ubiquitous. Focusing on simplicity is what drives the Chanel name, but it also benefits many other brands like Apple. When you make it easy for customers to have a delightful experience with your brand, they will remember that. Without embracing failure in your work and life, you will stay in your comfort zone and never innovate or make a big difference. As Ford puts it, failure is not a setback; it's your chance to rethink your approach and try something new again. Just be sure to learn from your mistakes. Actively reflect on how things didn't come out the way you wanted them to, then adjust your process and do it again. It aligns the team around a common mission/goals. It makes it easier to determine which types of content need to be created. So without a plan and detailed steps within a process, you and your team are likely wasting time and not rowing in the same direction. It's easy to think of branding as just your logo or to just write it off as something unsubstantial. But in reality, everything you do is a reflection of your brand. That includes content, social media, and engagement. This is why you need to be thoughtful and mindful of how your company interacts with your audience. Every customer touchpoint needs to be authentic and helpful. Reputation plays a big part in your word of mouth marketing strategies. And the Bard of Avon highlights how valuable a positive reputation truly is. Building a great reputation requires consistency. Make sure everyone in your company is on the same page with how they will represent the character of your brand. HubSpot CEO and co-founder Brian Halligan has issued warnings of a bleak future for companies who want to stick to traditional marketing in a digital world. Not only is it important to stay current and keep learning; you also need to evolve your entire business, not just marketing. The future of business belongs to those who integrate inbound into every aspect of their company. You can evolve by following the five tenets of an inbound organization. Technology and communications go hand in hand. And when you know how your audience communicates, you can connect with them in the way they prefer. This is a big part of building your buyer personas. When you fully know your prospects and understand how to reach them, you're ready to align your message, delivery, and information. In a crowded, fast paced digital world, people are constantly consuming content and distributing it. There are so many channels and types of media that it's hard to stand out. This is why in a competitive market, differentiation is the key. Before you can truly stand out with your messaging and marketing efforts, you need to first identify the specifics of what makes your brand different. How do you compare to your competitors? What do you offer that they can't? When you know these answers, you're ready to spread the word. The best content in the world is useless if it can't be found. In fact, if you're creating awesome blog articles, ebooks, and podcasts and nobody is listening, you're losing a lot of money. Can you afford to waste such valuable resources, like time and energy? This is why SEO matters more now than ever before, so build a strategy and stick to it. Search works both ways. Your audience will find you, but you can also use search to learn more about your prospects to better target your message and approach. Study what your readers are searching for, and monitor how they interact with your content. This can help you steer the content marketing ship so you deliver the most helpful, relevant content possible. And with the right conversion path in place, you're ready to start bringing in valuable leads. Remember, inbound is a marathon not a sprint. You can't win trust and build a positive rapport with your readers all in one day. Building meaningful relationships takes a lot of time. And that requires consistent effort on your part. So if you're looking for a shortcut to success, you simply won't find one. The only way to win is to focus on delivering quality content every day. Your online presence can sell for you, build trust, and engage your readers 24/7/365. But it could also harm you, push readers away, and tank your marketing results. One of the best things you can do to check in on your online presence is conduct a thorough audit of your content assets and your whole website. These audits will present opportunities of where you can improve your online presence. The best way to conclude this list is to include another Godin classic, this time with a little tough love. He's right about the state of the modern marketer – you have all the tools and resources you need to deliver awesome work consistently. The only way you can fall short of your goals is by holding yourself back. And holding yourself back is what likely brought you to this list. So enough of the inspiration. You're ready to wow your audience and generate real business results through your marketing. Editor’s Note: This post was originally published in October 2017. It was updated in December 2018 for accuracy and comprehensiveness.